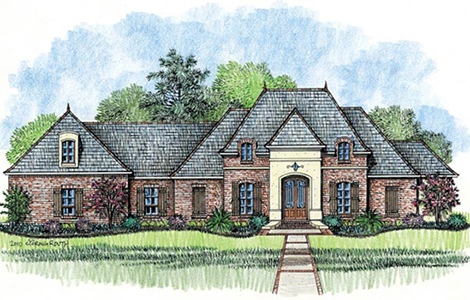 This French country style home design features triple split Floorplan with 4 bedrooms and 3 baths and has a bonus room over garage area. 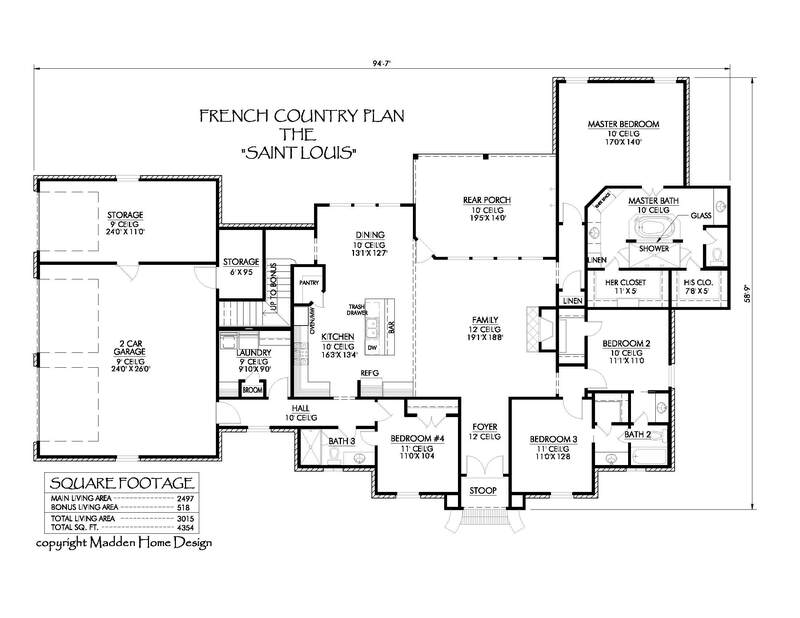 The house plan features a wide floorplan and maximizes your rear views of your property. The master bath has a large walk-thru shower behind the tub and and the split closets & vanity areas. You�ll love this large kitchen with a walk-in pantry and ample amounts of counterspace. The jack and jill bath layouts provide space for large walk-in closets for the kids.